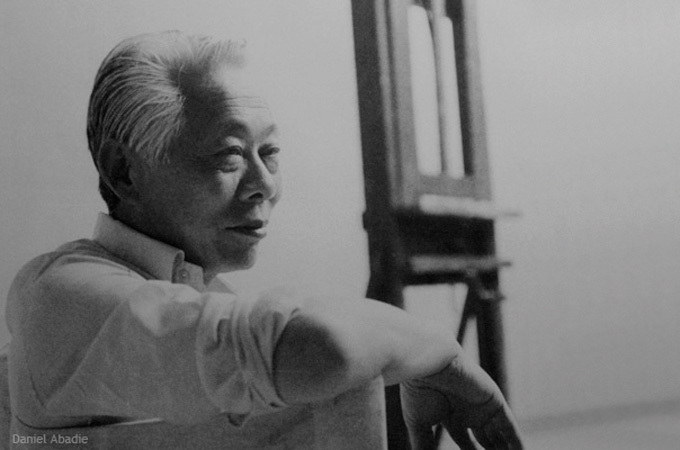 Zhao Wuji (Zao Wou-ki) was born in Beijing in 1921. From 1935 to 1941 he attended the School of Fine Arts at Hangzhou, where he taught after finishing his studies. In 1948 he arrived in Paris and learned the technique of lithography in 1949 in the Desjobert printing-house. In 1951 he discovered the paintings of Paul Klee, which greatly influenced his development from 1951 to 1958. The year 1954 marks the point where his graphic work has made the transition from figurative art to lyrical abstraction. The graphic work of Zhao Wuji from 1949 to 1960 illustrates the influences of both European and Chinese art. The combination of these influences has resulted in the unique art of one of the greatest contemporary Chinese artists.